Location: Ant Canyon Campground, Sequoia National Forest. 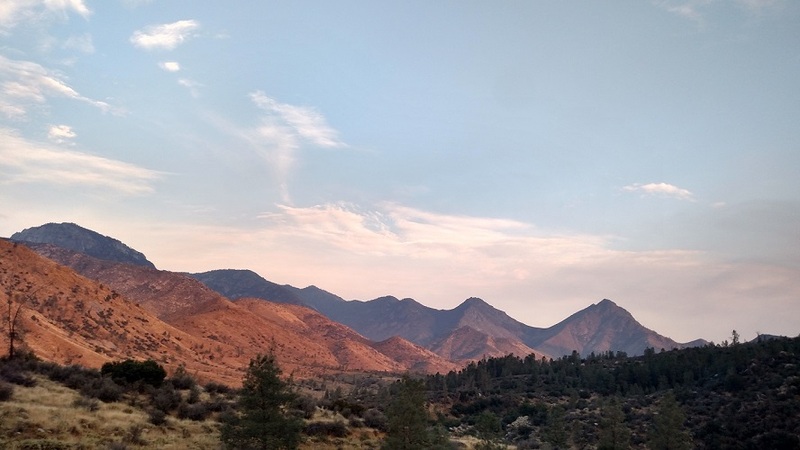 From the town of Kernville, about 50 miles northeast of Bakersfield, follow Sierra Way, which becomes Mountain Highway 99 for a total of 10.7 miles. 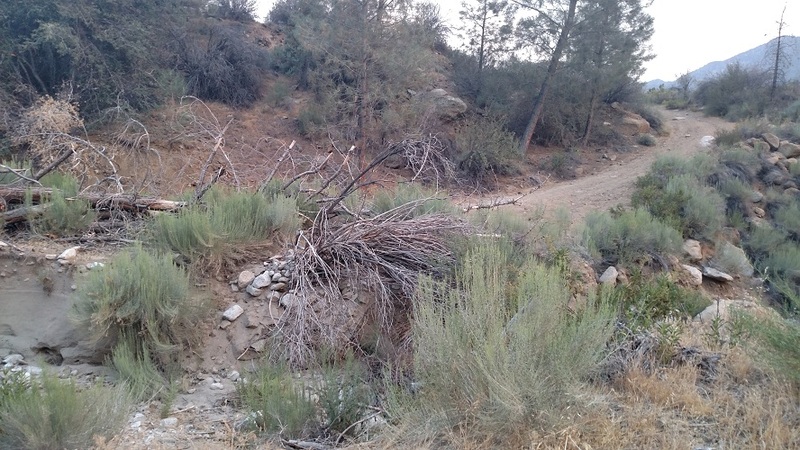 The signed turnout for the Ant Canyon Campground is on the left. Approximate trail head coordinates are N 35.886, W 118.4587. 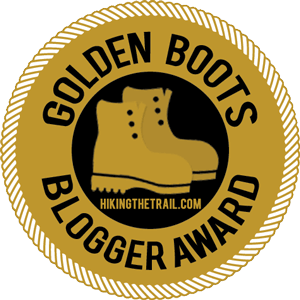 This hike explores the southern end of the Rincon Trail, a 22-mile route in the southern Sierras. 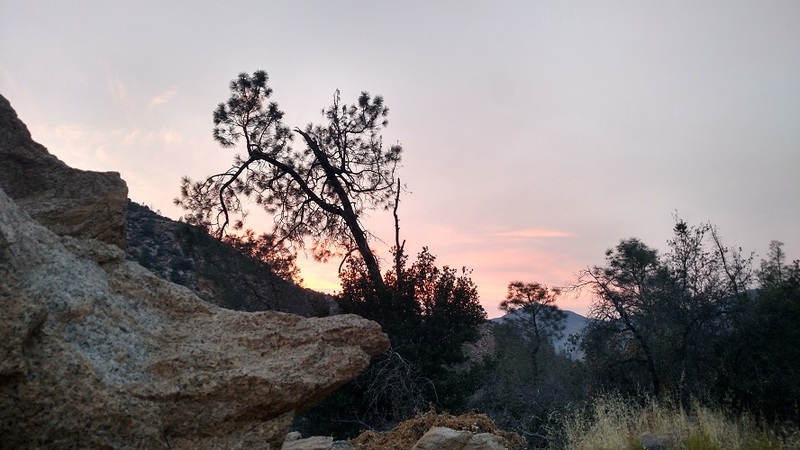 Like the nearby Packsaddle Cave hike, this trip is proof positive that the north fork of the Kern River has a lot to offer L.A. hikers who may feel as if they’ve seen it all. The trip described here can be combined with Packsaddle Cave for a long day trip from Los Angeles (it’s about a 3 hour drive from downtown, depending on traffic); it’s also a fun hike to work into a camping trip at Ant Canyon and of course ambitious hikers can continue farther north on the trail. 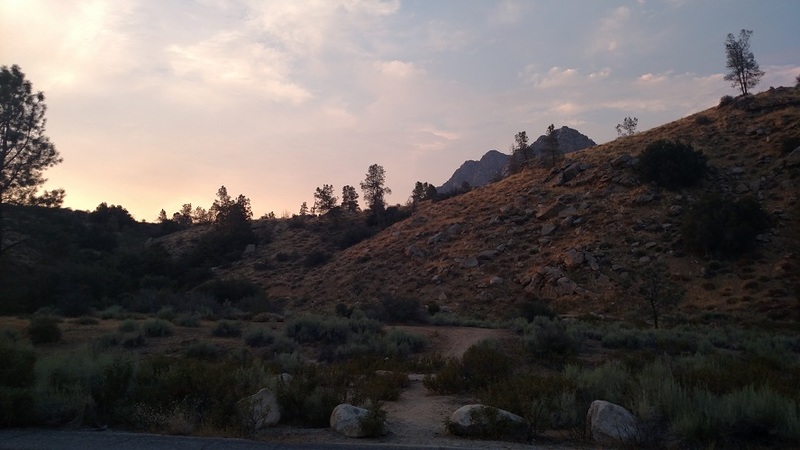 This hike does have a few drawbacks: some may be turned off by the nearby power lines and the proximity to the road, although the flow of the Kern River is usually strong enough to block out the noise of traffic. 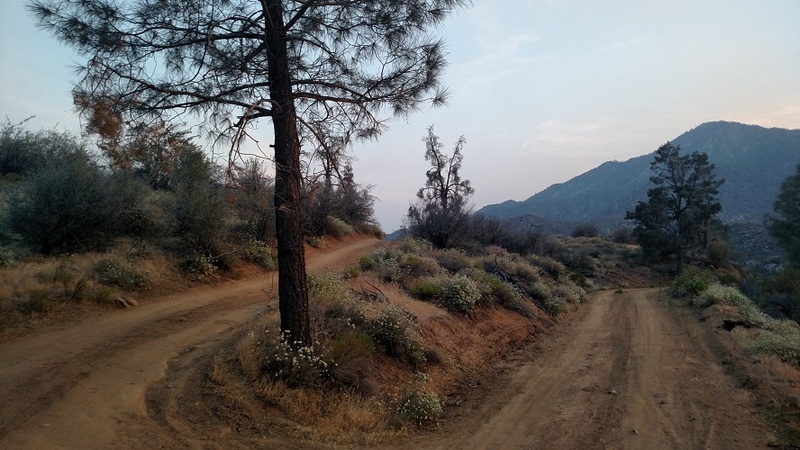 While the entire route is on fire roads, much of the terrain still feels pleasantly rugged. 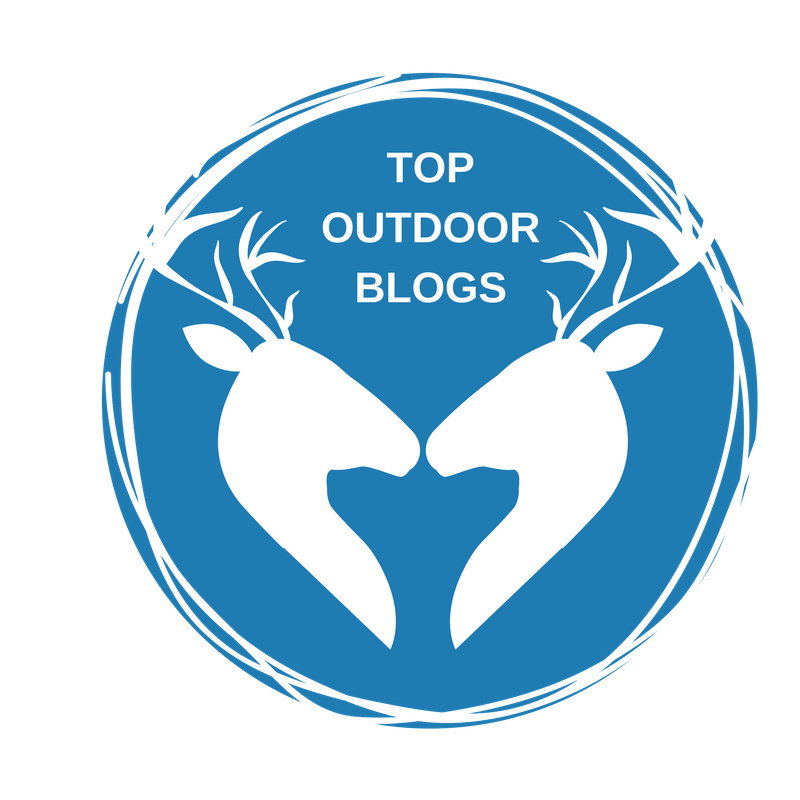 Trail signage is minimal and what exists can be confusing, but you’ll never stray too far from the road and river, so it’s hard to get too lost; all you need to do is keep track of a few junctions. 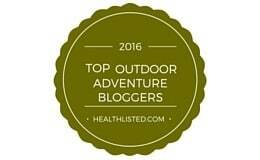 The eye candy that this trail offers more than makes up for any shortcomings. 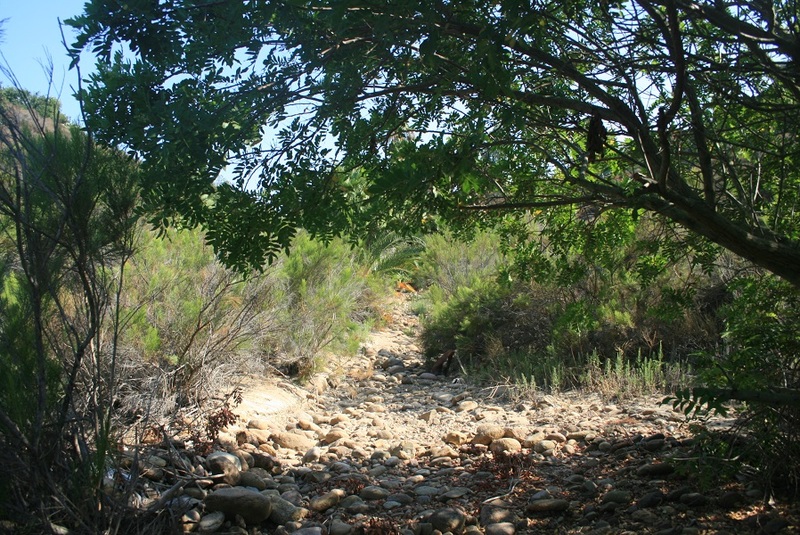 From the campground, look for an unsigned use trail leading across Rincon Fault to meet the actual trail. (The official trail head is a few hundred feet to the south but there’s no parking). Turn left and follow the trail north, paralleling the road, the fault and the river. In 0.4 mile, you reach the start of the loop. Head left (going clockwise allows you to save the higher-elevation return route, with better views, for last). At this elevation, about 3,600 feet above sea level, the vegetation is transitional, including oaks, pines and manzanitas. 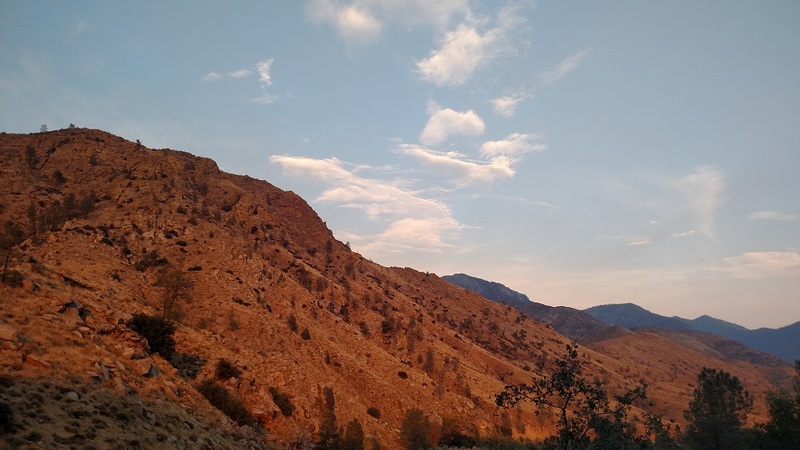 The views, both of the Kern River gorge and the rocky peaks above it, are increasingly panoramic as you continue your ascent. At 0.7 mile, stay right at a Y-junction and continue another 0.4 mile to a 4-way junction. You can take a short detour to Salmon Creek and get a distant look at Salmon Creek Falls by continuing north on the Rincon Trail. To complete the loop, make a hard left and head uphill. 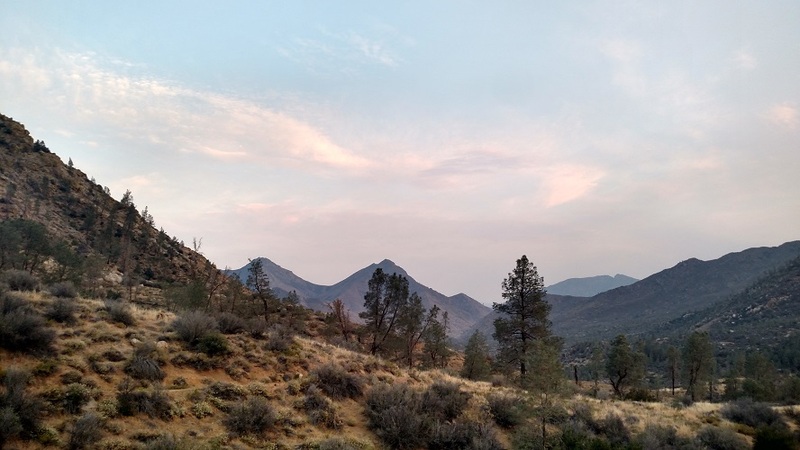 The trail meanders east and then south, skirting the edges of the foothills and taking in views down canyon of peaks such as Cannell and Church Dome. At 1.7 miles from the start, bear right at another Y-junction and head downhill (even though the sign indicates that the Rincon Trail is the left fork). You soon reach a section of the trail that is washed out as of this writing, requiring caution to traverse (but no special gear). At 2 miles from the start, keep an eye out for an unsigned, rough-looking trail on the right. 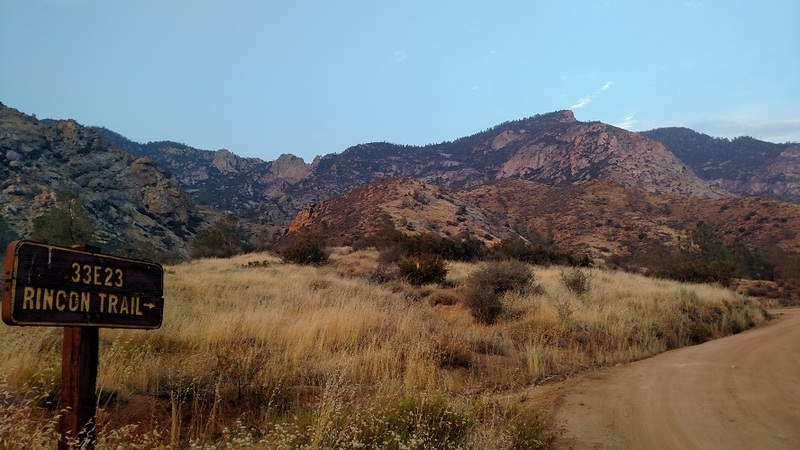 Follow it for 0.4 mile back to the Rincon Trail and retrace your steps to Ant Canyon.